Stitchex offers a new feature for customers on the Enterprise Plan and who use our Multi Warehouse feature. The new Consignment feature enables you and your buyers to more closely monitor the inventory of their allotted consignments. Specifically, you can ship products from your primary warehouses to your buyer's consignment warehouses. 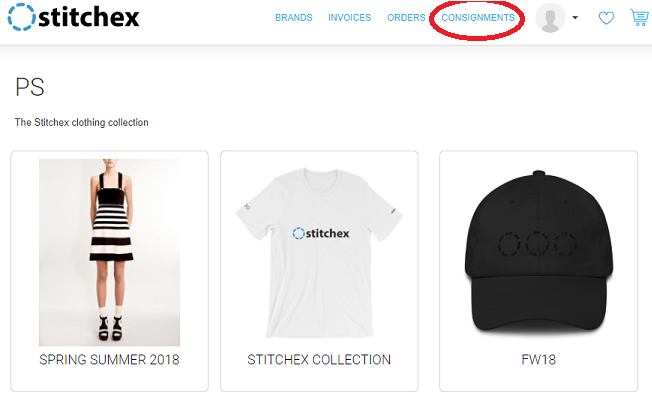 And, your buyer will be able to manage their inventories through their buyer's login the products currently "in stock" for their consignment products. While this new Consignment feature will be available for customers on the Enterprise Plan only, the standard consignment feature remains unchanged. You may have as many Consignment Warehouses as you want. However, you can only have one customer per Consignment warehouse and one Warehouse per customer. In other words, a customer cannot be setup for multiple Consignment Warehouses. And, you cannot have a Consignment Warehouse setup for multiple customers. Ensure you have Multi Warehouse functionality enabled. Add a New Warehouse by clicking the plus sign (+) in the top right corner. 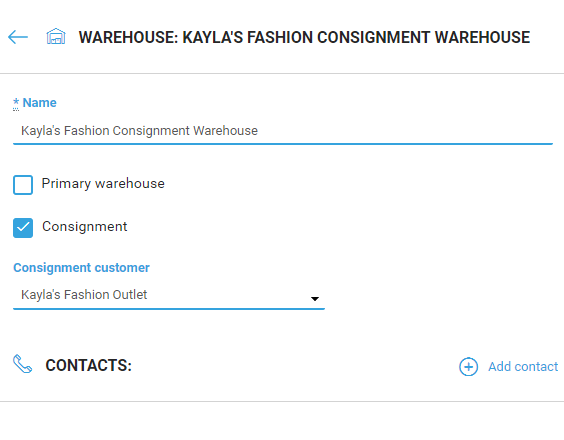 Select the Consignment Customer name from the drop down list which is sorted alphabetically. Once these settings are configured, a new page will appear for your customer in your Showroom named "Consignment" (Figure 2).